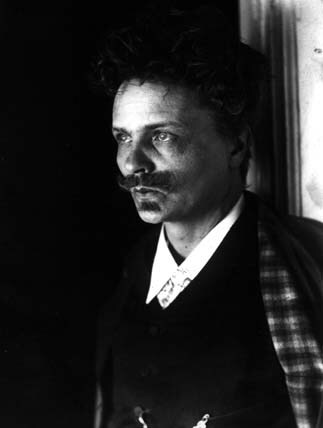 It is a well known fact that the Swedish author and playwright August Strindberg was deeply fascinated by religious and semi-scientific speculations of a sort we would today call western esotericism. In Sweden Strindberg researchers have been more or less alone in making an effort to study subjects like French fin de siècle occultism within academia before the rise of the study of western esotericism, one good example being Martin Lamm´s Strindberg och makterna (1936). This research has also been uncharacteristically thorough. As a young student of literature I once had to abandon a plan for an essay on Strindberg’s esotericism when I realized that there really wasn’t that much left to say. Now when I, for the first time in a long while, take a closer look at Strindberg once more I am still impressed by how strong the influence from French, and to a lesser extent German, late 19th century occultism really is in parts of his writings. A book that is especially rich in such content (besides the obvious titles Den Ockulta dagboken och Inferno) is En blå bok (strangely translated to English as Zones of the Spirit (1913), here I will call it by its more literal translation A Blue Book). A Blue Book is a strange book, inspired by the Christian genre of breviary in its Lutheran rather than Roman version, that is to say collections of short prayers and sermons. Strindberg’s book too contains short reflections or sermons, but in stead of Christian meditations on Scripture or Ethics, his sermons take the form of weird speculations on natural science, religious fantasies and misanthropic attacks on his enemies (and Strindberg had a lot of enemies). It is something of a mystery that the book is readable. But it is. And it was successful when it first was published (the first part appeared in 1907). The reason is probably the short length of each passage of the book. None of the ”sermons” take up more than a page. A Blue Book, however, is also interesting because of what it has to say about Strindberg’s relationship to the Danish Luciferian Ben Kadosh (Carl William Hansen). Kadosh was one of there more interesting and original writers of Scandinavian turn of the century occultism. He was a Mason and a Martinist but he also worshipped Lucifer. About this there is no doubt; he even wrote “Luciferian” as his religious affiliation in a Danish census, and he authored a pamphlet called ”Den ny morgens gry” (The light of the new dawn) were he preaches his beliefs, and among other things identifies Lucifer with the devil. This text has been translated into English but has never really gotten the exposure it deserves as one of the first historical examples of someone defining themselves as a worshipper of the Devil. 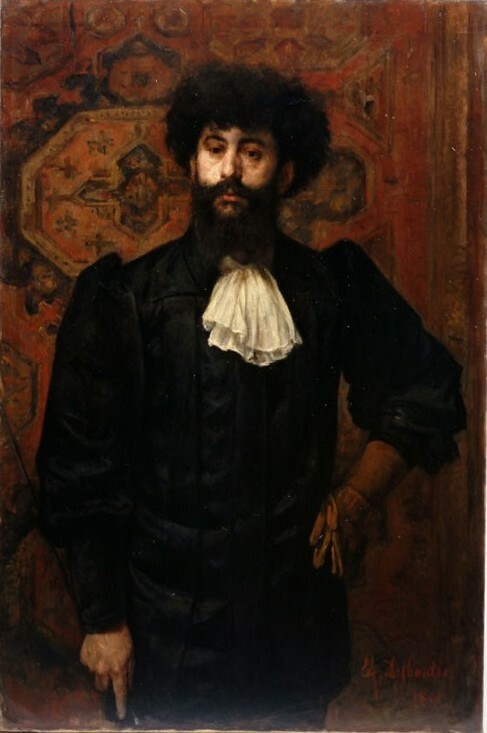 It is known that Strindberg and Kadosh corresponded for a while around the turn of the century but that something made them part ways sometime around 1905. A Blue Book I, written around 1906-7, contains a lot of clues as to why their relationship wasn’t more enduring. One of these is Strindberg’s thoughts about the cult of Pan, an idea that had been eagerly championed by Kadosh (who identified Pan with Lucifer). In passages like ”Den ludne Guden” (The hairy god) it becomes clear (although it shouldn’t be a surprise) that Strindberg takes a very negative view of Pan which he considers to be the god of the above mentioned äfflings. Of course this doesn’t mean that he thinks that the people he calls äfflings are really worshipping Pan – ”they must be ashamed of their god, because they call themselves atheists, but their religion is that of the Evil One”. Rather the äfflings represent characteristics that Strindberg associated with Pan, the hairy god, the Lord of Dung. Although Strindberg isn’t attacking a true, literal, religious cult of Pan it is difficult to think that he would have had any sympathy with such a cult. 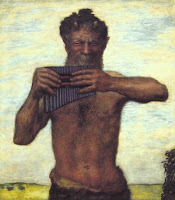 Keeping in mind that A Blue Book was written so close to his break with Kadosh, it cannot be ruled out that his attack on Pan is also an attack on Kadosh, or even that his use of Pan in this way was inspired by his contact with the Danish Luciferian. The word, of course, really means small monkey in German, and comes from Strindberg’s reading of the writings of Jörg Lanz von Liebenfels and his doctrine of racial mysticism, where the term is applied to people Liebenfels viewed as racial inferiors. Strindberg however changes the meaning somewhat. All translations here are my own and they are rather hurried so please overlook any stylistic awkwardness.